Over the past year, through various intense and life-changing experiences and eye-opening conversations, I have come to explore my existence in terms of at least five bodies. Do you see what I see after these explanations? 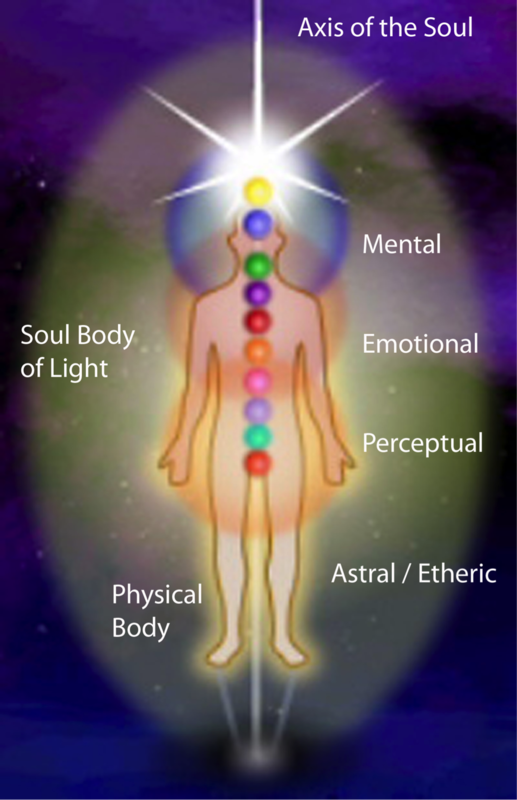 There are other bodies too (the unconscious mental body, the astral body, etc.) but those bodies are not commonly mistaken as the identity. I’d like to give air to these other bodies but focus on the ones that tend to entrap us. That said, I don’t have a lot more to write actually. If what I have said so far makes sense, the math isn’t that hard to do. We are ALL bodies. The denial of one of them creates a lopsided emphasis on the others. It’s something to think about. All of them matter. All of them. The denial, suppression or neglect of one of these is at the root of many imbalances and diseases. Do you recognize any patterns in your life that might suggest an over-emphasis on one or the other? This blog is about New Years resolutions and more. I wanted to go beneath the surface of what it means to keep a commitment to yourself. Everyone makes and breaks and jokes about resolutions precisely because they are unrealistic without the mindset to actually achieve them. When you were young, and you asked "why," did your parents often say “because I said so?” Or maybe they were so busy they couldn’t even stop to look at you let alone answer—just tugged you by your chubby wrist as you cried all the way out of the store or Grandma’s house? Or maybe you were a sensitive little soul and knew that you would bother them so you stopped asking, and eventually wondering ... why? A continuing theme in all of our adult conundrums revolves around the inner child—finding her or him and listening/feeling what this long-forgotten part of ourselves has to teach us. This is because so many of us were forced to stuff this child into a closet before we properly integrated them and their experiences. In the case of motivating yourself to do anything sustainably (vs. for others or as a show), you must know why—precisely. You must be able to question and answer yourself. So in the case of resolutions, a.k.a. promises to one’s self, it is easy to see how they would break if you never stop to ask yourself why you are making them in the first place. Because if you ask and answer that question with a clear mind and a sincere heart, you will be a lot more likely to keep the resolution, or at worst get right back on the horse when you fall off its back now and then. We don’t need so much pain if we keep in touch with our inner child and own this part of ourselves, moreover care deeply for it. The child self will ask why. Why do I want to start listening inward and pausing before answering people’s requests? Why do I want to spend extra time on projects to secure those last details that make or break their quality? Why? The adult self answers: Because if you don’t, you know by now that you suffer consequences—you lose time. Do you see what kind of pain and lost time this Q&A between your inner adult and inner child helps you avoid? Imagine if you never asked these questions and just horse whipped yourself to keep a resolution based on external merit because your inner parent, or someone (or some marketing) said to do a better job or to lose weight or anything at all?! What we’re getting at here is the idea of internal merit. Why not stop, take time, sit this part of you down gently and speak to it. Explore the answer together, integrate it.